Different statistics reveal how Australians still afraid of burglaries and violent crime, what is understandable if you look at how many break-ins are happening even in broad daylight. However, there is no need to panic since several companies offer the best home security products in Australia, like quality security cameras, reliable security alarms and other security systems for your gates. Remember that when possible, it is much better to install automatic gates at your property since they can only be open by a code. If you have a business, like for example a retail shop, you need to install an alarm too, besides CCTV cameras. From Infoisinfo we help you to find the best options. Depending on the kind of activity your company carries, there are different risk to be taken into account and in consequence, different security systems. A carbon monoxide alarm will alert you when the monoxide levels are too high. It is very common to find this function in a fire alarm. A fire alarm, by detecting smoke and heating will give you notice enough to evacuate a building. There are flood alarms that senses water and can be linked to the water supply equipment to cut it off. Ad of course, burglary alarms in many different types and functions. Which home security system shall I purchase in Australia? Monitored system: they are connected to a security company which get in touch with the police. It is better to have it linked to a mobile phone instead of the outside phone that burglars can cut. Unmonitored system: it triggers out a laud alarm – and sometimes lights – to alert people about something going wrong at home, so if you aren’t there, other can call the police for you. 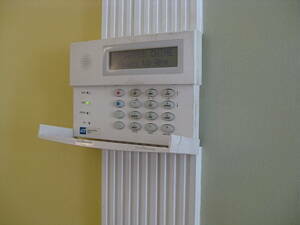 Electric home alarm: most used for houses that are being built. At Infoisinfo, our goal is to be able to provide you with the most useful information possible so that you can easily find the best products and services for you and your company in Australia. We are aware of the numerous crimes that are sadly taking place in Australia, both in homes and stores. To help you to keep yourself and your belongings safe, we have prepared a list of the best alarm systems in Australia. Get to in touch thanks to the contact details provided, such as phone numbers, websites, address and opening times. In addition, you can have a look at comments and valuations from other clients to get a better idea about each security system supplier. Suite 3.10, 4 Ilya Av, Erina. Gosford. NSW, 2250. 1/65 Back Beach Road, San Remo. Bass Coast. VIC, 3925. 925 Albany Hwy, East Victoria Park. Victoria Park. WA, 6101. Emerald, Emerald. Cardinia. VIC, 3782. Suite 1, Shop 3 109- 111 Nicholson Street Footscray VIC 3011, Melbourne. Melbourne. VIC, 3011. 8 Johnson St, Oakleigh. Monash. VIC, 3166. 459 Fifteenth Ave, Bondi Junction. Waverley. NSW, 2022. Unit 10, 322 Annangrove Rd, Baulkham Hills. The Hills Shire. NSW, 2153. U 79, 193-203 South Pine Rd, Brendale. Moreton Bay. QLD, 4500. 140 140 Cheltenham Road, Rd, Dandenong. Greater Dandenong. VIC, 3175. Suite 2, 26-28 Burgess Rd, St Pauls. Randwick. NSW, 2031. 25 Albert St, Brighton. Bayside. VIC, 3186. 6 Waratah St, Mona Vale. Pittwater. NSW, 2103. Po Box, 3480, Modbury North. Tea Tree Gully. SA, 5092. Po Box 7085, Warringah Mall, Frankston. Frankston. VIC, 3199. 71 Epping Rd, North Ryde. Ryde. NSW, 2113. By Appointment, Devonport, TAS,7310, Devonport. Devonport. TAS, 7310. 26 Gilby Rd, Mt Waverley VIC 3149, Australia, Melbourne. Melbourne. VIC, 3149. 21 Howie Ave, Adelaide. Adelaide. SA, 5000. 203 Victoria Road Rd, Marrickville. Marrickville. NSW, 2204. Unit 3, 6-7 Motto Ct, Hoppers Crossing. Wyndham. VIC, 3029. 4, 37 Shipley Dr, Rutherford. Maitland. NSW, 2320. Suite 1406, Level 14, 1447 Kent St, Sydney. Sydney. NSW, 2000.